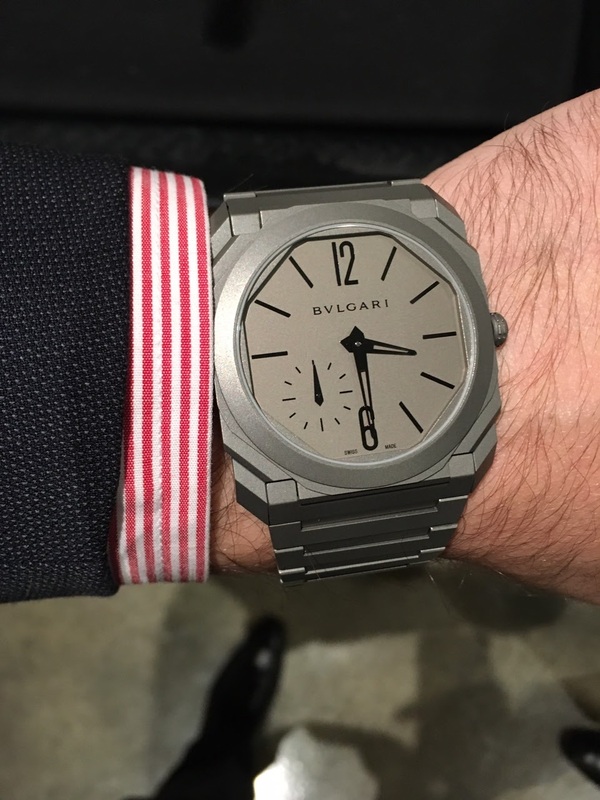 Bulgari - I got a chance to try on the new Bvlgari Octo Finissimo range. Must say: MAGNIFICENT pieces. 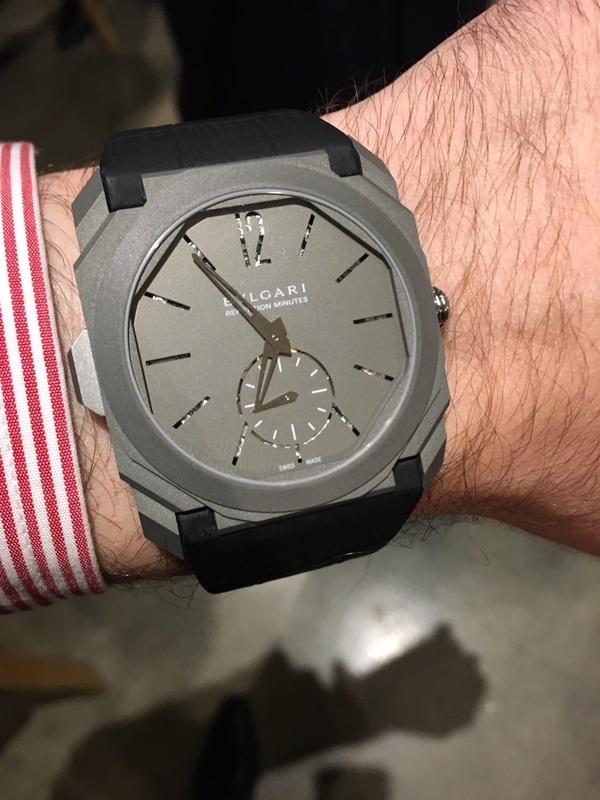 I got a chance to try on the new Bvlgari Octo Finissimo range. Must say: MAGNIFICENT pieces. 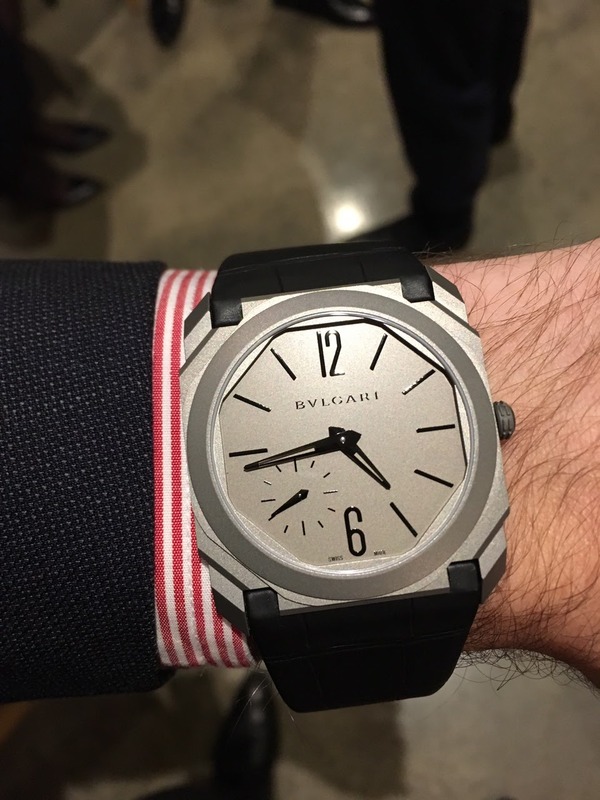 I was lucky to score an invite to a BVLGARI event here in Melbourne with a well-known local watch website. The minute repeater is just INSANELY good. But my most favourite piece was the automatic On the titanium bracelet. Anyone here has one? Was wanting to hear owner's impressions. A novel design and nice ultra-thin movement. The design in pictures is not for me personally, but I'm looking forward to seeing it in person. No worries my friend. I know that taking pictures inside with artificial lights is a true challenge. I recognise Bulgari's skills and ability in making such a thin watch. However regarding the design I definitely do not like it and also the colour of the dial is nothing special in my opinion. Looking forward to your pics! The LE is a magnificent piece!